The temperatures are finally starting to rise and we’re spend more hours sweating it out in the hot sun. 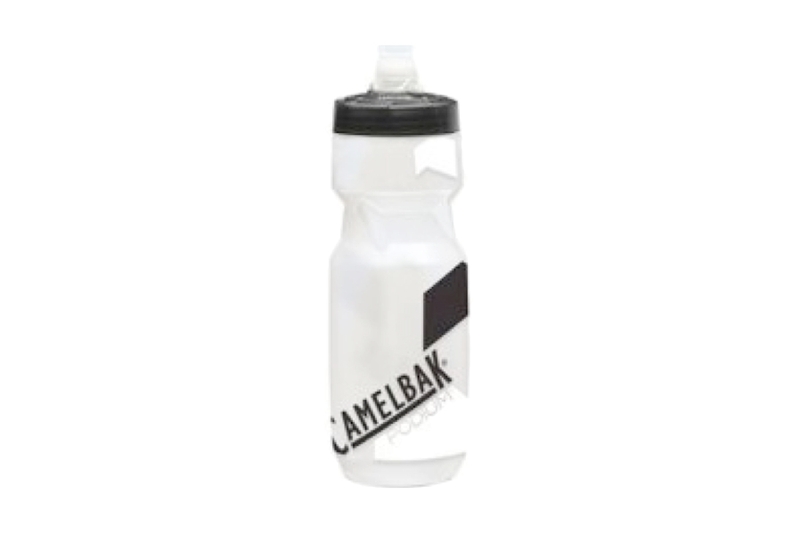 If you’re like me, that gets you thinking more about what to use to stay hydrated and keep that thirst quenched. There’s a new product that several of us at Trail and Ultra Running have been trying called CocoGo. 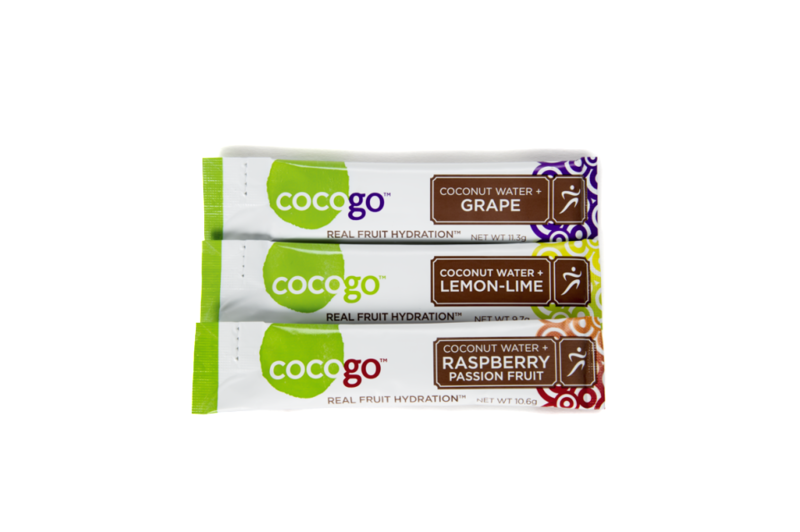 CocoGo boasts the use of all natural ingredients – made from actual fruit; including coconut water, grapes, berries, passion fruit and citrus. Testers really enjoyed the flavor of the natural sweeter. The cane sugar tastes great and can be mixed to any strength and still taste good. 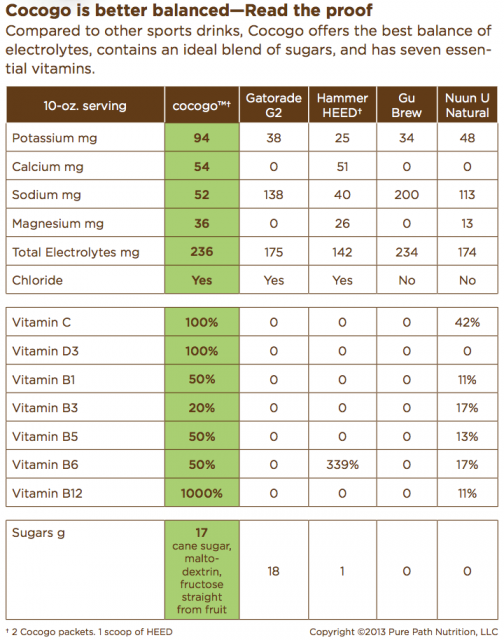 It’s even slightly on the bitter side, which is such a relief over the sticky, overly sweet tastes of most electrolyte drinks. If drinking only CocoGo, it can start to taste too sweet (after several hours), so rotate in some plain water to keep your mouth feeling fresh. While this is not meant to be a sole energy source, 40 calories per packet gives you between 120-160 calories per bottle. The simple sugars were easy on the stomach and quick to get into the bloodstream, with maltrodexrin in there as well for a nice long release of energy. CocoGo comes in small, 11g ‘stick’ packets. The small packets allow for very customized mixing, but can be a minor annoyance when you have to mix 4 packets for each bottle. “The individual packets are nice because I know exactly how many I want to use when mixing. Also, having the ability to bring them along and mix them in during 3 to 6 hour run is great.” Cost is a factor to consider as well, as you will pay a bit more for the high quality, all natural ingredients. $8.99 USD for a box of 12 packets. 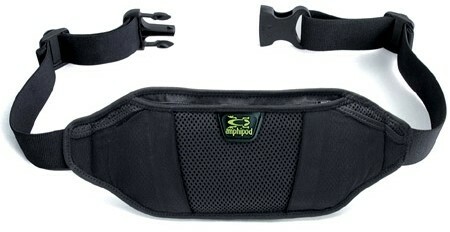 This is a super solid product, well thought out and executed almost perfectly. 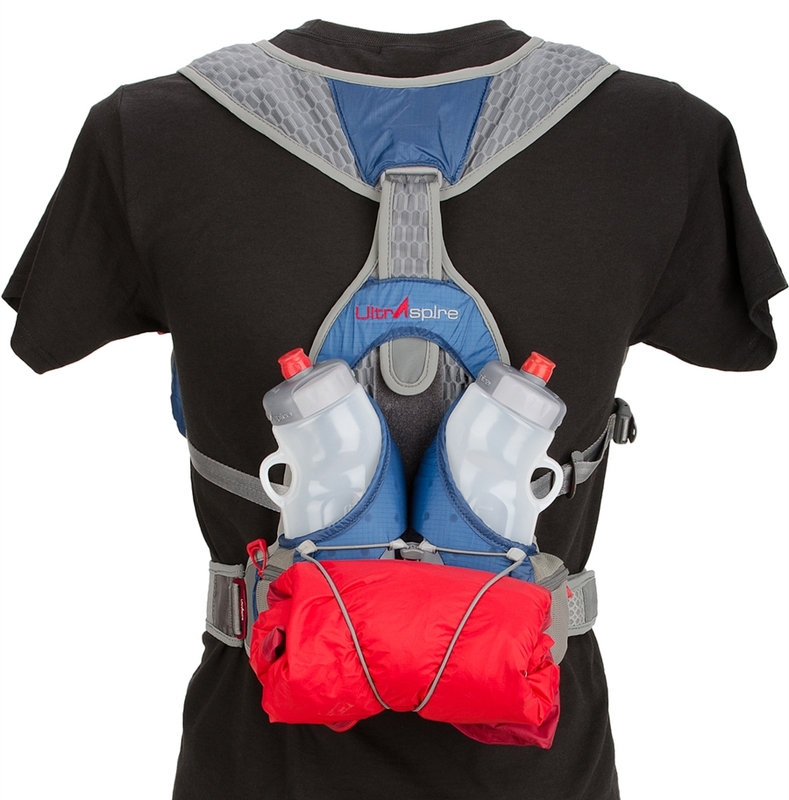 It’s the new favorite way for many of us to stay hydrated, energy & electrolyte safe on our running adventures. At least one of the testers will be using CocoGo this weekend in the upcoming Bryce 100 – we’ll keep you posted with any updates and feedback from the race! 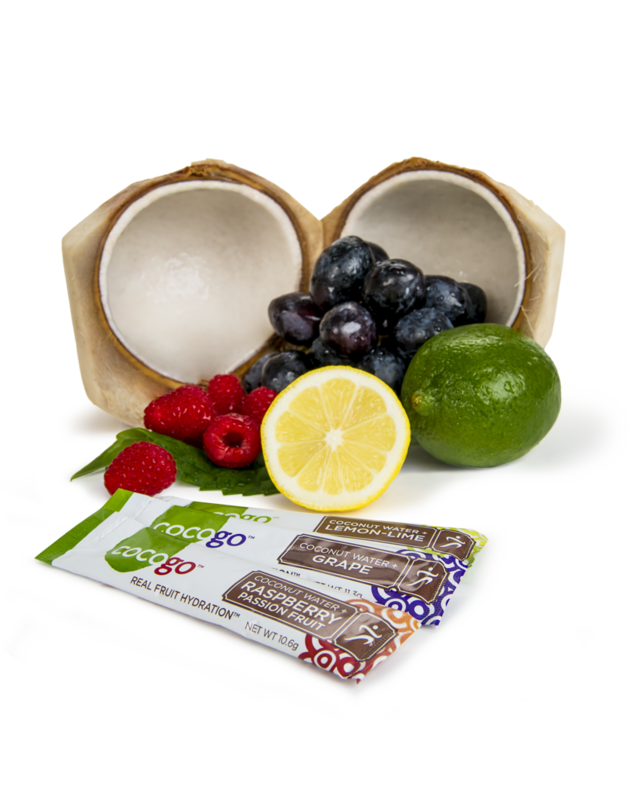 Try out CocoGo for yourself and enjoy free shipping by visiting CocoGo and using the code: FRSH4COCOGO when you check out.